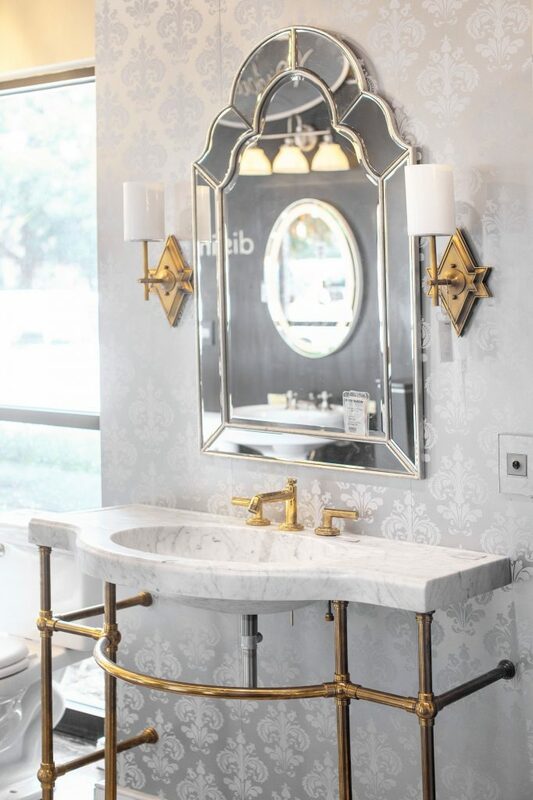 I’ve been sharing a lot about our master suite renovation on Instagram over the past few months, but now that it’s finished I wanted to share the full story here. Last year I began to dream up the idea of renovating our “bonus room.” I’ll go into detail with before and after photos in part II, but for now let’s just say it was a huge extra living space in the back of the house that we weren’t really utilizing, and that didn’t make sense from a layout perspective. Also, it was a huge eyesore. I came up with a plan to make a master suite in the space, since there was plenty of room for a large bedroom and bathroom and we’ve always thought it would be nice to have more privacy if we decide to have a family one day, since originally all of the bedrooms shared walls on the far side of the home. Once I came up with a floorplan and secured contractors, it was time for my favorite part: selecting finishes. I know I wanted it to be bold, stylish and luxurious. 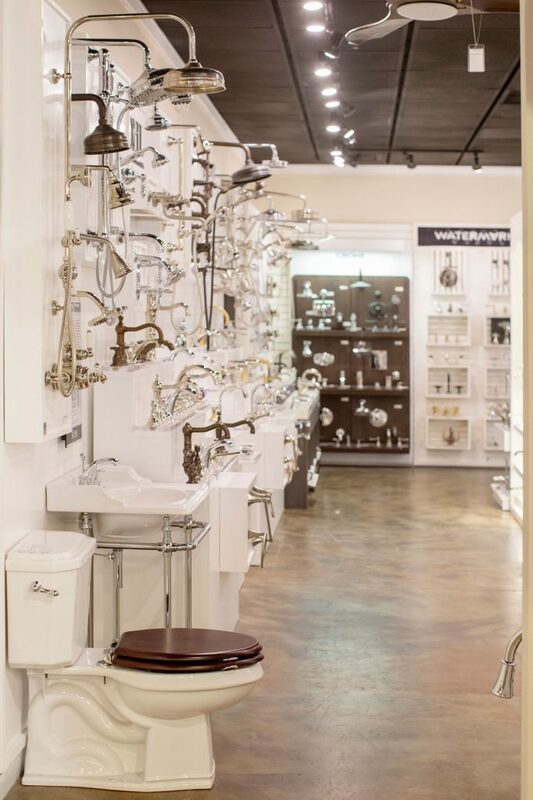 After selecting my tile, vanity and tub, I headed to Ferguson Bath, Kitchen & Lighting Gallery in Charleston to choose my hardware, faucets and toilet. 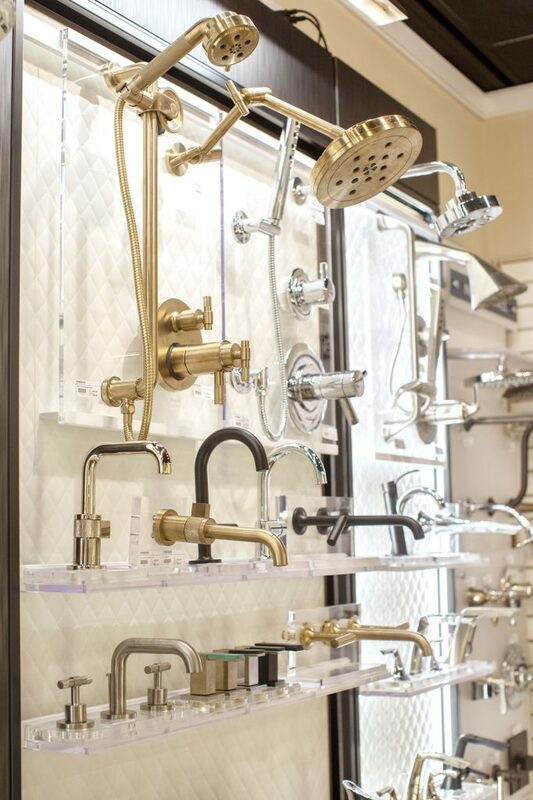 I’ll talk more about all my final choices in the next post, but when I walked into the Ferguson showroom I was looking for matte black faucets and hardware, and/or possibly gold. It was so nice to be able to see and feel everything there. First of all, because if you’ve ever done this before you know that “gold” or “brass” can mean 1,000 different things. 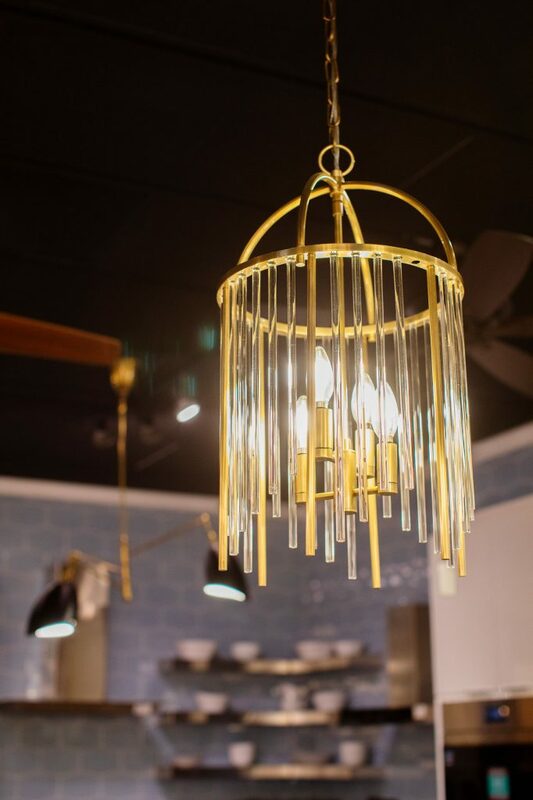 And if you’re like me and the line you choose doesn’t include all the pieces you need, it’s practically impossible to match finishes across different brands unless you’re able to do it in person at a showroom. Working with a product expert really helped me find a cohesive look. And second, feeling the quality of the faucets is huge! 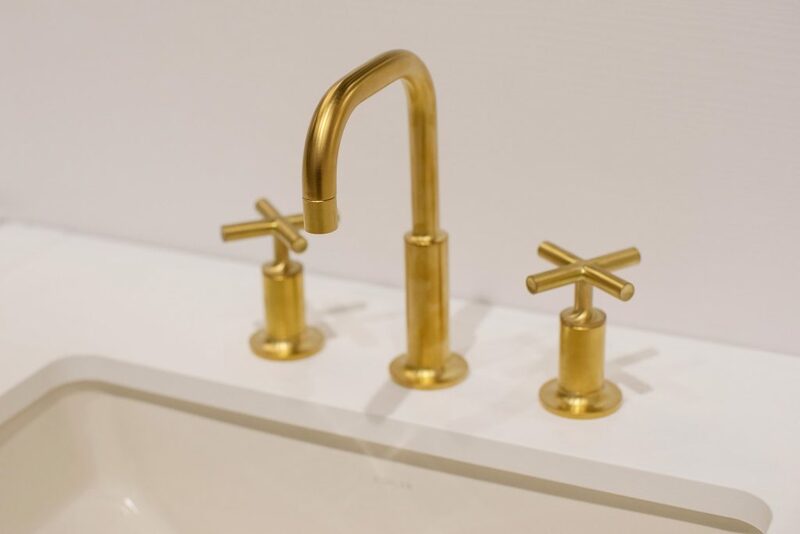 I absolutely love the feel of the faucets we ended up with, especially our Signature Hardware clawfoot tub and shower kit. It’s by far the nicest piece of hardware in our house. Speaking of the conversion kit, that was not something I wanted to try to figure out on my own. 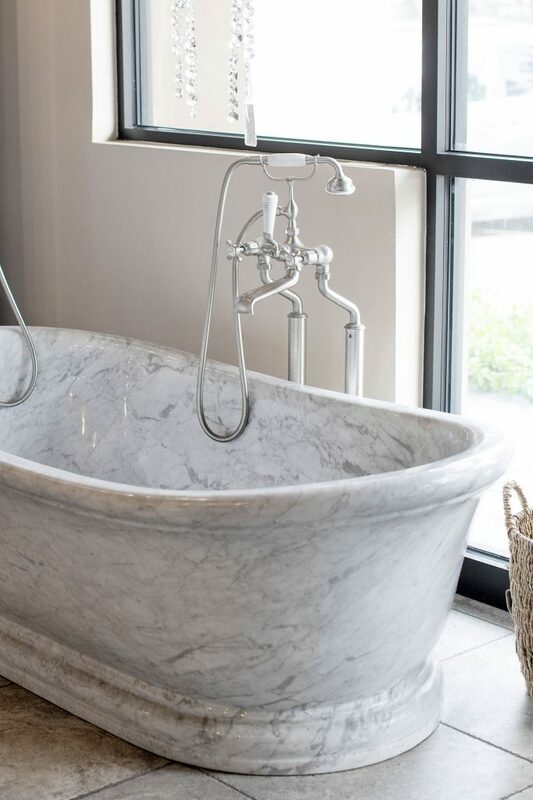 I ended up sourcing a vintage clawfoot tub on Marketplace but it needed all new hardware and a shower conversion kit, but being so old it definitely had quirks and I had no idea where to begin looking for something that would be compatible. Having a rep to help me choose the right piece was incredibly helpful. 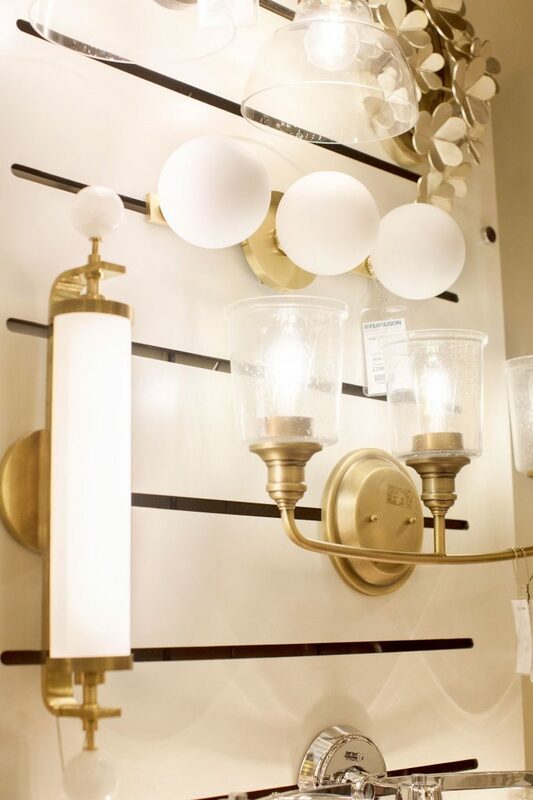 I also was able to see the lighting I had already picked out online in person while I was there and it really confirmed my choice. 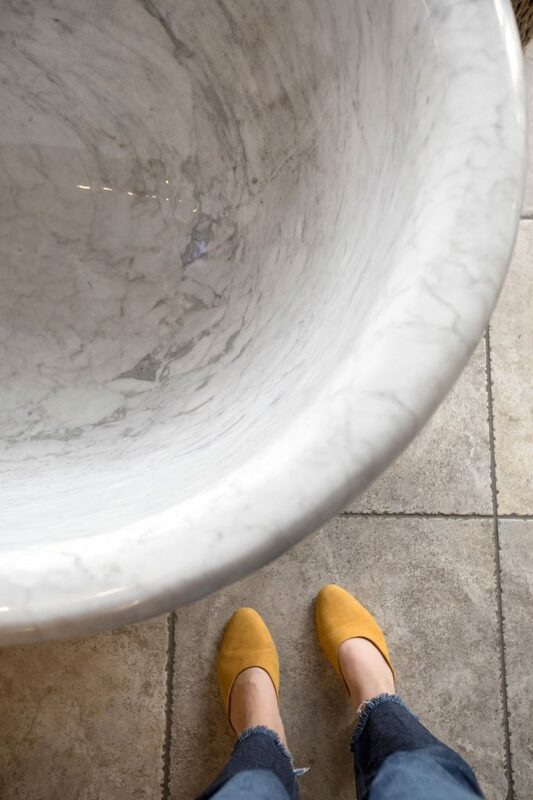 Plus there were so many beautiful displays, kitchen ideas, and my favorite: a solid marble bathtub, that definitely got me dreaming of more projects to come. Next time I’ll be talking more about exactly what I ended up choosing and why, so stay tuned!